The destruction of the ancient city of Palmyra in October 2015 during the advance of the terrorist militia of Isis has shocked the entire world. Now the ancient Syrian city has been recaptured by the Syrian army and a recovery project has started involving two Italian companies. 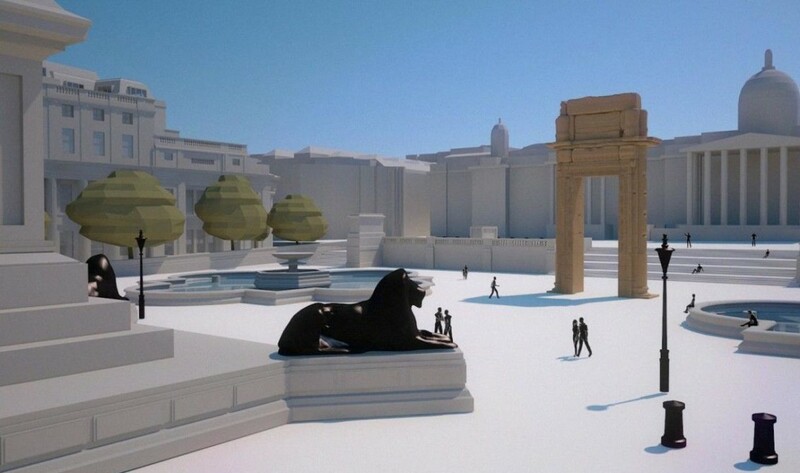 Two Italian companies from Tuscany are developing a reconstruction project of the Palmyra’s Arc of Triumph. Built almost 2 thousand years ago the Arch has been shot down by the jihadists. TorArt, a company specialized in sculpture from Carrara with D-Shape, a company from Pisa, will rebuild the Arch with the 3D print technique. The technique used by D-Shape will tie sand and rocks transforming them in a marble block and sandstone. The two companies have already presented the project to the Arab Emirates government. The next step will be the reconstruction in scale of the Arch that will be presented in Trafalgar Square in London the next April. “The 70% of the material will come from Carrara or from the Alps. The day that we will move to Syria, we will work with local materials”, said Enrico Dini, founder of D-shape, in a recent interview with the Corriere della Sera. The TorArt company will be involved in a second moment when the work and definition of the printed sand for building the monument will be necessary. “Our sculpture technique is subtractive, we remove material in order to give the right shape. The robots are working together with our sculptors. There’s no limit in what you can do, in these days we are modeling a natural size’s David” said Giacomo Massari, founder of TorArt, who has established his laboratory inside the famous marble caves in Carrara. The Palmyra’s Arch developed by the two italian companies will be 15 meters tall and 11 tons heavy. To rebuild the Arch70 cubic meters of sand will be necessary, with an equivalent value of 100 thousand Euros. Each robot used by TorArt in this project has a 300 thousand Euros worth. “Our will is to rebuild Palmyra but also the many archaeological sites destroyed by natural disaster” argued Giacomo Massari. A fundamental contribution in this project comes from the Institute for Digital Archaeology in Oxford, with the distribution, to civilian and volunteers in the Middle East, of more than 5 thousand photo cameras to take pictures to the monuments and sites in danger. Maybe this project and the work of the two italian companies, is not just to rebuild Palmyra’s Arch, but to rebuild our feelings for beauty and art too, that were tested by the brutality of the terrorists.